Learning how to play the guitar can be difficult, especially at the beginning. Many people believe that the best way to learn to play is to start on an acoustic guitar. Their reasoning is that once you learn how to play you can play anything. That's true, however you must first be successful at learning how to play. Many people find it difficult to learn on an acoustic guitar and many times quit because of it. Here are 3 major advantages of learning how to play the guitar on an electric so that you can have a much better chance to be successful. This could be controversial because yes, there are a few types of acoustic guitars that have very thin bodies. However, in general, acoustic guitars have very wide and thick bodies as well as thicker necks. Especially if you look at the bottom end of the price scale and that's where most people look to buy their first guitar to learn on. Low end electric guitars have all the same physical advantages of the higher end ones which is opposite to what happens with acoustic guitars. A thinner body allows you to hold and manipulate the guitar much easier so you can spend more time focusing on the more important aspects of learning to play the guitar. A thinner neck means it is easier to reach around and play notes and form chords too. In general, an electric guitar makes learning easier by reducing the physical challenges an acoustic guitar will impose. This is a huge advantage. The name given to this and you will hear people discuss is called "action". The "action" on an electric guitar is much better than acoustic guitars. What that means to you is that there is less distance between where a string normally sits without contact and where it has to go on the fretboard to make a sound. The shorter the distance to the frets the faster you can get there. The less movement needed to do it as well as less tension that you have to overcome to push the strings down. This advantage makes it easier and quicker to play notes, chords and change between them and trains you to have a lighter touch right off the bat. One of the biggest bad habits acoustic players develop is using too much pressure. This slows down their progress, can cause pain and injury and makes it difficult to change between chords quickly. You can still push too hard on an electric but most people learn not to. It is much easier to add pressure if you want to move to an acoustic than it is to train someone to stop pushing too hard. One of the biggest advantages of learning to play the guitar on an electric that I have found is the sound. The sound of their playing is the one thing everyone seems to be concerned about the most when they first start to learn to play. It should not be but it is totally natural to want to sound as good as possible as soon as you can. With acoustic players focusing on the sound can lead to bad habits and injuries because most beginners have to press very hard to make the guitar sound good. This is actually a major reason people get frustrated with their progress and quit. However, because it is physically easier to use an electric guitar and because the action is lower, you can press down on the strings and make much better contact with the frets a lot sooner in your development. That means you can get a better sound a lot faster than you would on an acoustic. This will help you to feel better about your playing much sooner because you will hear the progress in your sound and that can help motivate you to keep going and is a lot more fun!! Most people actually do want to learn to play acoustic guitar. Playing around the campfire or at a kitchen party are high on most people's lists. An electric guitar will not work well there. The great thing about learning how to play the electric guitar first is that all of those skills are easy to transfer to the acoustic guitar when you are ready. And besides the fact it is easier and faster to learn those skills on the electric guitar, going that route will help you avoid some of the most common mistakes and bad habits most acoustic guitar players run into. The cool thing is you do not even have to buy an electric guitar to learn to play it. You can rent them in most cities by going to your local guitar store. So, you can own an acoustic and still learn on an electric. Maurice Richard is a professional guitar teacher that operates out of the city of Halifax, Nova Scotia, Canada. He has been a member of an elite guitar teaching mentorship program since 2007 and has taught many people how to learn to play the guitar. Learn how to pick the best guitar for you to learn how to play by visiting his website today. It's almost impossible to overstate the importance of learning to harmonise a scale. There are just so many advantages. Before we analyze this information, let's get a few definitions straight. A whole step = 2 half-steps, and a half step is simply the distance between 2 adjacent notes. The following illustration of a piano keyboard can be helpful to see that the distance between C and C# is a half-step, and the distance between C# and D# is a whole-step. Whether a chord is major or minor is determined by its 3rd. If the 3rd is two whole steps above the root, it's a major third. If the 3rd is a half-step lower, i.e. a whole plus a half step above the root, it's a minor third. And in a major and minor triad, the 5th has to be "perfect." A perfect fifth is 7 half-steps above a root. If the fifth is flat, i.e. 6 half-steps above the root, it's called a diminished 5th. If the fifth is sharp, i.e. 8 half-steps above the root, it's called an augmented 5th. Let's go back to analyzing the harmonizing of the first note of the C major scale. The distance between c and e is two whole steps so the 3rd is major. The distance between c and g is 7 half-steps so the 5th is perfect. The name of the chord is C major, or simply, C.
The distance between d and f is a step and a half (3 half-steps total) so the 3rd is minor. The distance between d and a is 7 half-steps so the 5th is perfect. The name of the chord is Dm. Do yourself a huge favor and write out the rest of the scale on your own before reading on. You'll get so much more out of this if you do it yourself first, I guarantee it. The distance from b to d is 3 half-steps so the 3rd is minor. The distance from b to f is only 6 half-steps so, that makes the 5th diminished. A minor third and a diminished 5th is called a diminished triad. Now try playing these chords on the guitar. If you have trouble playing any of them (especially the B diminished), consult your teacher. Also harmonize the remaining keys of Db, D, Eb, E, F, F# or Gb, G, Ab, A, Bb, B. When it comes tomusic theory, there is no substitute for actually doing it. Dennis Winge is a professional guitarist living in New York with a passion for vegan food and bhakti yoga. If you are interested in taking Guitar Lessons in Ithaca, NY, then be sure to contact Dennis! When It comes to learning a blues guitar song a lot of students get overwhelmed by all of the notes and numbers that make up the different riffs. It’s easy to see a big chunk of music and give up because you assume it’s too complex. Fortunately we can use to patterns to navigate our way through blues progressions and get some awesome sounds without any difficulty at all. In this lesson I want to show you how you can break down complex blues progression into really simple ideas that are repeated in different places all over the neck. You’ll actually be very surprised at how many times you only actually have to learn how to play one riff and then move it to different places. When it comes down to it blues is actually one of the simplest genres of music ever because it only uses one chord progression known as the 12 bar blues. This 12 bar progression is made up of 3 chords ( the I - IV & V in Major keys and the i - iv - v in minor keys) and these chords are simply arranged in a specific pattern to get a particular sound. Below is a blues riff in the key of A minor. It begins on an A note and ascends the arpeggio playing C on the 8th fret of the e string, E on the 7ths fret of the A string and sliding quickly from 5 to 7 of the D string to finish on an A note an octave higher. Even though this seems complex you want to visualise it as a pattern that fits in your minor pentatonic scale. That way you can move the same lick to match a D minor chord by starting the same idea on the 10th fret of the D string. If you move it up two more frets and play it on the 12th fret it will work over an e minor chord. You can play an entire 12 bar blues progression just by moving these riffs around. If you’re in the key of A minor your notes will be A, D & E and you just need to switch to match the chord changes. If you’re in a different key you just need to move the riff to match the 1, 4 & 5 chord of the new key. Below is a an example of this riff applied to an entire chord progression. Note that I have moved the riff to the 5th string for the D & E chords to avoid you having to slide a big distance. So next time you’re learning a 12 bar blues pattern and it seems overwhelming, try and break it down into a single riff and look for ways to move it to new locations. Doing this will allow you cut down the learning time allowing you to re-invest it into actual practice. You should also use this idea when creating your own riffs by first getting them down over one chord and then simply moving them around to match the other chords in the blues riff. Michael is a blues and rock guitarists, teacher and music educator from Melbourne, Australia. He has a passion for music and wants to ignite the same fire in everyone he meets. If you’re tired of not getting results take blues guitar lessons in Melbourne and unlock your full musical potential. Do you play guitar but interested in playing bass. This is article is all about the bass for guitar players and how to get started with playing the bass guitar. Music theory is a scary thought for many guitar players. Whether they are beginners or advanced guitar players. To many people, when they think of music theory, they think that it’s similar to learning advanced physics formulas which does sound scary! Besides having a fear of having to learn music theory. Lots of guitarists say you don’t need it! This leads many beginner guitarists down the path of learning to play the guitar without a real understanding of what it all means and understanding how the guitar works. I’m here to tell you that music theory A. Doesn’t have to be scary. B. It is so useful to learn when it comes to learning the play the guitar. The biggest reason for learning music theory is for communication. If you know what a sound on the guitar is called. You can then communicate that with someone else or for understanding what someone else is saying. Even for reading music. It’s really useful for understanding what it all means. Imagine going around life, not knowing what items are called. If you are after sugar when you are making a tea. But don’t know how to say the word sugar. Asking someone to pass the powdered white stuff becomes more difficult. This is what happens to guitarists. There are many who can play the guitar who can’t describe or talk about what they are playing. Or even understand it. That means they struggle to communicate with other people or if someone asks them to play something. This can cause a lack of confidence for many guitarists and musicians in regards to their playing. And the thing is that music theory doesn’t have to be complicated either! Lots of music teachers over complicate music theory. I’ve heard it from so many of my students that teachers will often teach them theory that isn’t relevant, or really make things a lot difficult than it is! A great teacher would only bring in music theory if it’s needed and make it very applicable as well. An example of very simple music theory that you can learn on the guitar that will help you tremendously is learning the notes on the neck of your guitar. So that when you play anything, you actually know what you are playing. You can now communicate that with someone and also when someone else tells you to do something on the guitar, you can understand what they mean! The most important thing is that music theory is useful. Learning what is applicable to your playing is really helpful. There are a lot of people saying that it’s not required, but music theory encompasses so much that even just learning the basics to excel your guitar playing and confidence tremendously. How awesome can Music theory be? Here at Guitar Tuition East London, we make sure that any music theory we teach you can be applied to your guitar playing, and also your long term goals and dreams on the guitar. This is why our students are more confident as musicians and guitar players than any self taught guitar players and guitar players who have come to us from other guitar teachers as well. We make sure that music theory is taught in a fun way that is very practical. We know you don’t want to sit there learning things off by heart all day. If you are based in East London, and you want to find out how to improve your music theory so that your guitar playing can improve, then contact us to find out how we can help you. Whether you are a beginner or advanced guitar player, we can help you take your guitar playing to the next level. 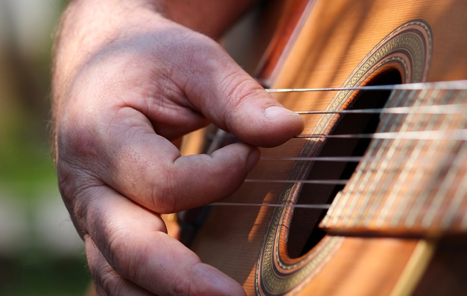 Are you wondering why your wrist is hurting when you play guitar? Why Is My Wrist Hurting Playing Guitar? Are you getting wrist pain when you are playing guitar? Are you thinking how professionals play for hours seemingly easily while you have to take a break every 10 minutes? Are you wondering why your wrist is hurting? Do you question your technique? We are going to look at some of the reasons why your wrist might be hurting and a few solutions that will hopefully help you solve it. 1. If you are a beginner guitar player, it is normal to have a level of pain in your wrist while your muscles develop and your hand gets stronger. The pain should be an ache, not shooting. If you are getting shooting pain, then definitely stop. During this beginner stage, if you are at home practising on your own and suffering from wrist pain. It’s a good idea to keep your practising sessions to 20-30 minutes only. If you are studying with a great guitar teacher who can monitor you and check your technique, then you can play for hours. 2. One of the biggest contributing factors I see as the cause of why people’s wrist pain is hurting is because of tension somewhere in your body. This might be in your shoulder or back. If this is the reason, then you need to solve it by having proper posture. Here is a video that I had posted previously regarding good technique for sitting to help you with back pain and tension. 3. If you are trying to learn how to play barre chords at the moment. You will need to take some time to build up your strength in your wrists. Without that strength, it’s difficult to play for long periods of time without pain. To solve this, keep barre chords practising time short initially as you are building up your strength. Once you have done that, playing barre chords will be so much easier for the rest of your life. 4. Another reason that people struggle with wrist pain with barre chords is that they are pressing on the fretboard too hard. This causes a lot of tension in the hand itself for long periods of time. This causes tension in the wrist as a result. 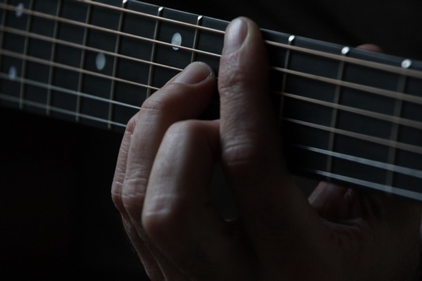 To practise being able to hold barre chords softer, you can play the chords in the muted position, and then gently add more and more pressure until a clear chord rings up. Then you know that’s the level of pressure you need for playing a barre chord to reduce the amount of pressure and tension required by your hand to play it. An extra point about pushing the strings down so hard, you can actually change the note to be out of tune if you press too hard, because it’s bending the string. There are other reasons that might be the source of your wrist pain. If you have tried all of the solutions above and still struggling. I would highly recommend going to a professional guitar teacher who is able to look at your playing positions, your technique. It is really important that you solve this as early as possible to reduce injury to your wrist in the future. If you are struggling with wrist pain. Get in contact to find out how we can help you. "How long do you think you will play the guitar for?" That's a very small idea that effects your progress on the guitar in both the short term and long. If you have low commitment level towards playing the guitar. The result is that you are more likely to do less practice. On top of that. Even if you did do the same amount of practice as someone who has a long-term commitment to play the guitar. Based on the simple idea before you've even started. This very little thought affects your progress by up to 400%! "I want just to try it out." "I will carry on if I enjoy it in the first month." "I want to just learn a couple of chords, shouldn't take long." All these things that you may be saying to yourself can affect your progress all term. "Shoot for the moon, and if you miss. You will still land amongst the stars." By Norman Vincent Paele. While this quote isn't astronomically true. I still love the meaning of it. If you are not going to aim very high in your guitar playing. You will struggle to get very far with it. If you believe you have the potential to be as great as you want to be at the guitar. And you have the long-term commitment to get you there. Then you will achieve it. Or at least a lot further than if you would have been able to, if you hadn't believed it to be possible. Everyone has the ability to learn how to play the guitar if you really want to do it. Even people with missing fingers, even no hands. There is no excuse for why you can't learn. The only thing that is holding you back is yourself. If you want to do it bad enough, you will get the best tuition and teaching you can get to get you there. If you aren't sure about it, want to try it out. You will most likely end up going to a cheap guitar teacher. End up having a bad experience. Think all guitar teachers are like that and give up before you've even started. Having a positive attitude towards your learning is so important. Your perception and your long-term commitment to learning the guitar. It will affect your progress both the short term. Which based on how it goes in your short term can massively effect your long-term playing as well. If you are only going to try it for a month, and you think you are struggling. You won't have the willpower to keep going. You need that determination to get you through the challenges. An amazing guitar teacher who understands the psychology of learning guitar will help you. But you are the one in charge of your own belief system about learning the guitar. I recommend that if you decide to pursue learning the guitar, you set the bar higher for yourself. Whether it's able to play your favourite songs effortlessly, and confidently in front of your friends and family. Be able to sing and play at the same time. Be able to be creative and understand how the guitar works. Have those ideas in your mind, that are longer-term targets for you to aim for. This will help you a lot with your short-term progress. 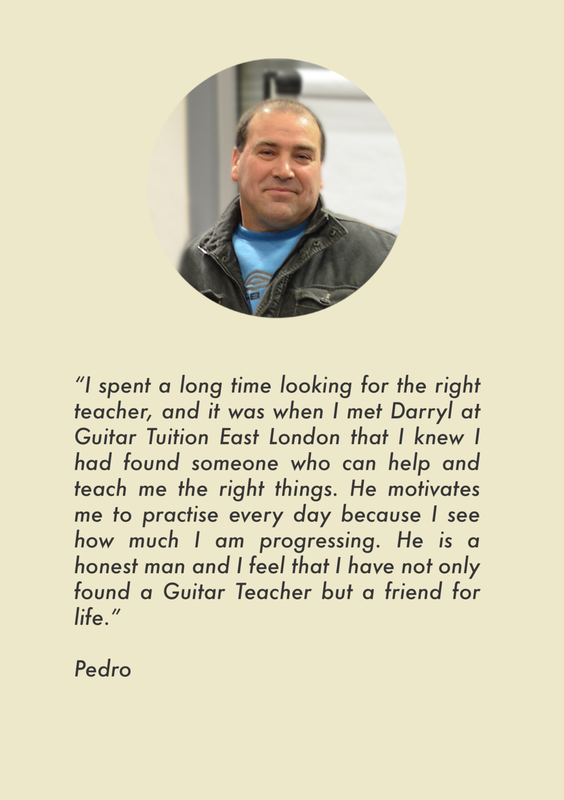 Darryl is the head of Guitar Tuition East London. Training his guitar teachers at the school to provide the best guitar lessons in London. He wants to help anyone wanting to make a big change to their guitar playing happen. Let’s look at some of the best things you can do right now. So that you can improve the guitar in both the short and long time to make some real progress. Which will make you more confidence in your guitar playing progress. The first things you need to do to improve on the guitar is to work out what it is you actually want to do. What is it that gets you excited? Is there a particular guitarist that you want to play like? Are there songs that you want to play? Do you want to be able to play in front of people? Feel more confidence when you play? Be able to pick up the guitar anytime and make it sound awesome? Write it down. Get some goals. Make sure you make it specific to you. Something that gets you excited and will make you want to improve your guitar playing. Seek out help on how to do that goal that you’ve got. If you can work it out yourself, great. For most people in most situations, they can’t. So don’t feel bad for seeking help. If you can get a teacher to get the information you need to do it. Then that’s great, you can do that too. But make sure once you have the help, make sure you make a plan and start working towards your goal. Put believe into the practise plan that you have, practise best as you can, and put best effort into it. So that you believe in what you are doing. I see some people struggle at this stage because they don’t trust the plan that they have. They are not sure if they have the right plans together. A lot of people sabotage their good plan by not believe in it. And then even a good plan won't turn you into the guitar player you want to be. Believing in your plan is important to ensure you carry through with it to get the maximum result. If you put your best effort in and it doesn’t get you where you want to, then over to our next point. You need to review your plan regularly. I find three months to be a good time, see if your plan is still working, if it’s not working, find out why. If it’s not, get help, get someone to look over it and work with you and get a new plan. And keep persisting with it. And again, putting in your best effort each time. When you have a great plan and you keep on improving it, and you believe in yourself and put your best effort in. You are bound to see a lot more improvements in your guitar playing. We’ve already mentioned it, it may be that you can achieve your goals on your own. And that’s great if you can. For all situations, getting a teacher and a mentor to help you, will help you make so much more progress. And you will see a huge difference in the results that you get. They need to be the right guitar teacher for you to help you with your specific plan to get to your goals. They should be able to foresee obstacles and challenges you may have and help you navigate them. Having someone in your corner will help you to make a lot of progress. They will help reduce the amount of stress and frustrations that you would have. And when you have tough days or weeks or months, you want someone to keep you accountable. They will help encourage you to carry on persisting. Even with the best books, best exercises, best teacher, you need to learn how to practise the guitar. 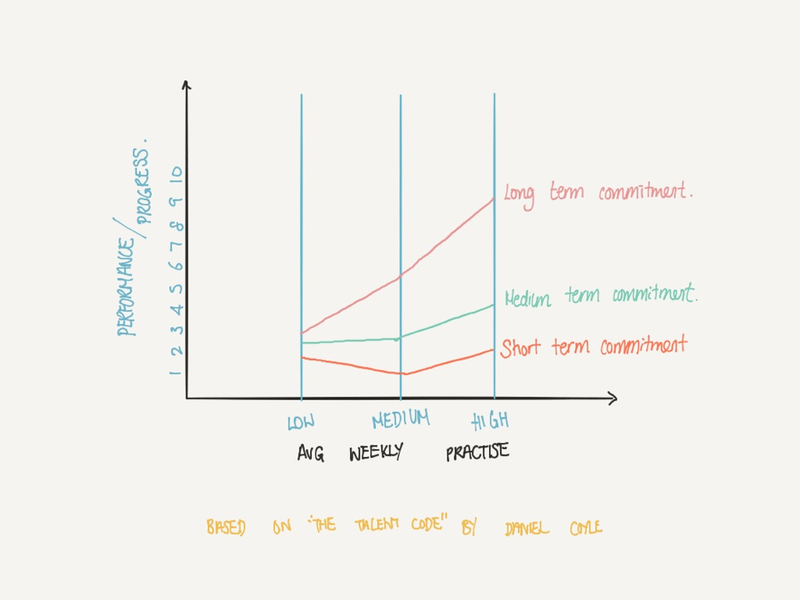 Learning how to practise means you know how to use your time in the most efficient and effective way possible. So that you get the most progress possible. And when you can work on practising guitar at home. It will make the more journey go a lot faster. You will get to each of your milestones quicker, and it will be a more enjoyable experience altogether. You will be improving on the guitar a lot faster. Do You Want to Improve Your Guitar Playing Faster? Are you frustrated at your progress on the guitar? Do you wish you can be certain if you have the right plan to get you to your goals? Are you struggling to know what goals are realistic for you that is achievable in the timeline you have in mind? Are you passionate about guitar and music and is willing to put in the work to become confident at playing the guitar? If this sounds like you, then contact us regarding how we can help you with your guitar playing. We will help you with setting your goals and providing a tailored program for you. We will help you to learn to practice, so you can make the most progress in the least amount of time possible. We are so sure of ourselves that we provide a free introductory guitar lesson. Click below to get started and to schedule your free introductory guitar lesson. When you are first starting out playing the guitar, Should you start on the Acoustic or Electric Guitar? This is a common question that we get all the time from guitarists who are just beginning at their guitar journey. I’m going to address some myths that so many people say which are just not true. I’m not sure where they are coming from but let’s go through some of the facts so you know whether the acoustic or electric guitar will suit you best when you pick your first guitar. How to choose between an acoustic or electric guitar? 1) Both on the acoustic guitar or electric guitar when you first start out playing. The big struggles you will have will be your finger strength, your finger tips, your wrist and you may struggle to find the strings as well. 2) The electric guitar is easier because you have thinner strings so it’s easier to press down on them. 3) On the acoustic guitar, you have a big body. So it’s harder to see the frets that you are playing. You have to bend over to see the fretboard and also to see which strings you are playing as well. Because of these reasons, with an electric guitar, you can handle practising for longer, because your fingers won’t hurt so much, it’s easier to have a better posture. This way you can make more progress early on as you start to gain strength in your fingers and your body learns what to do with the guitar. These things are worth bearing in mind as one of the first things to look at when considering which guitar to start playing with. If you only ever want to play acoustic guitar music, such as campfire songs and finger style music, and you don’t have any interests in ever playing the electric guitar. Then you should get an acoustic guitar. So in this particular case, it is worth starting out on an acoustic guitar instead of an electric guitar. Choose an acoustic guitar that you feel easy and comfortable on. Yes, it will be slightly harder to play, but the most important thing when you first start playing the guitar is that you buy an instrument that, when you come home from work, you see it sitting there or hanging up and it makes you excited to play it and makes you want to practise. If you do not like the electric guitar, then it won’t get you excited. So definitely get an acoustic guitar. If you ever to play both styles of music, then start on the electric. For the reasons stated previously. Do you want to solo and improvise on your acoustic or electric guitar? If you ever want to do solos and improvisation, play any type of rock music then getting an electric is a great idea because on an electric guitar you have a lot of frets. On the acoustic, the frets often barely go past the 12 fret mark. You also get the body of the guitar restricting you, so then it’s harder to press down the strings. Whereas the electric guitar often goes up to 22 or 24 frets, so you have a lot more freedom and flexibility when it comes up improvisation and playing solos. I would personally recommend that you get both, if you want to play both at one point. I would start with an electric guitar, set some milestones and buy an acoustic guitar later on. I find a lot of acoustic guitarists say later on, I fancy playing the electric guitar as well. So if that’s the case, then definitely start on the electric guitar. In conclusion, the big message is, if you can find any reason to start with the electric then start with the electric. If you are completely opposed to it, then start with the acoustic but make sure you find one that you feel comfortable on and that excites you. The most important thing with playing the guitar is persistence, and carrying on even when you have a bad day or bad week. The biggest limiting factor isn’t the guitar, it’s how much work and practise you put into it. Are you a beginner guitarist and don’t know where to start? Do you want someone to help you through every step including helping you pick your first guitar so it’s perfect for you? Do you want to be able to play your favourite songs as quickly as possible? Contact us to find out what we can do for you, we have helped many beginner guitarists get a head start in their guitar playing. We are so confident that we can help you that we offer a free assessment guitar lesson to discuss your goals and dreams on the guitar. If you are based in London, contact us to schedule your free assessment guitar lesson in London by clicking the button below.